Here is a bit of reprint from my original post last year with a bit of updating. I know April 1st is on Sunday, it’s in case I forget to write it on the day. 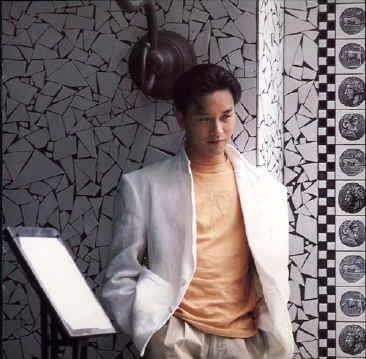 It’s been 4 years since Leslie Cheung left fans throughout Hong Kong and all over the world on April 1st. Everytime I listen to his song, I would feel sad because he is no longer around. I still remember that morning where I was woken up by my brother and I thought it was a joke, but I later realized it was true. I grew up watching Leslie Cheung in movies and on award shows and I never knew Hong Kong actors had impacts on my life. When I started listening to Cantopop in late 1999, it was his songs that brought me back to Hong Kong culture. For the first time in awhile, I won’t be listening to CRHK because their online streaming has been down since December 2006. 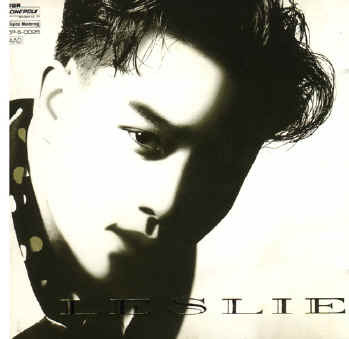 I will be listening to RTHK to listen if they will play Leslie Cheung songs. Here are two images that I want to put up. Leslie Cheung Profile on IMDB.com. So far, I got one essay done and it was for Canadian Public Policy. Again, I writing this entry in the Canadian Studies Lounge over at Dunton Tower. It’s the second last Tuesday of having to wake up early and going for 8.30am class. I am happy I got the Airport Extreme with 802.11n draft. I could say that my MacBook Pro has gotten a bit faster. I am still unsure about the speed for 802.11n. Adobe Creative Suite 3 is released, but the pricing is outrageously insane. It would be cool to get it. What I thought about the Quebec election from last night? I think it was surprising and funny that Jean Charest almost lost his seat during the election. The province of Quebec would of been in chaos. The funny thing as well was that I watched the results on the Internet via CBC.ca. It is Monday, March 26, 2007. As I am at the Canadian Studies Lounge over at Dunton Tower trying to write up my essay. This is probably the second last Monday to be at the lounge. I reflect back to having a Monday class. Last term, I only had a night class for Monday at 6pm. It seemed odd and not great because I miss out on Monday primetime television. Now, I have an afternoon class this term with Peter Hodgins and it has been fun and enjoyable. It was fun to know people from last term and from the lounge. I am trying to aim at least 4 more posts since the school year is ending. I will end “season 2” of my blog. It’s been in the media since Wednesday and I am pretty surprised about the attention it is getting. 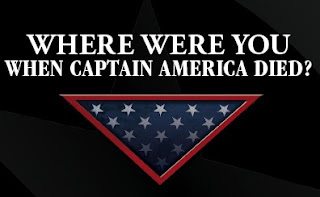 What do I think about Captain America being killed? Pretty good, but why couldn’t it be done in the #7 of Civil War? There has been some negative response to how Civil War ended. In my opinion, I am not very disappointed, nor excited with the outcome of it. My overall position to Civil War has been neutral. I didn’t care who side to choose, I just wanted to read a good story. I was disappointed with the lateness, but I accept the reason that the artist had health problems. Lateness is common in comics nowadays. The thing is, people shouldn’t be too worked up with Captain America being dead. I mean, no one shouldn’t get too upset because it is just a comic and it’s just a fantasy. It’s not the thrust of life. Even though, I am Canadian, something about Captain America being cool and amazing sticks as a favorite hero. I just like his shield because of the materials. It’s great to serve a good memory to where was I when it happened? Well, I was at the comic store and I informed the employees about it. That could be a “memorable” day. Kudos to a friend who got it. I hope you enjoyed it. I was planning to write up something for the blog, but it kept being held back due to a sense of writer’s block. But yea, I have wanted to write about the way that Islam has been portrayed in the media lately. Don’t get me wrong, I am not becoming a Muslim or what not. It’s just that I understand the faith and culture of it. It has been close to a decade because of friends and people in high school who were practicing Islam. What surprised me was my mom was Muslim when she was young in Hong Kong. I went back in Summer of 2000 and went to the cemetery to find out there were Arabic writing on the tombstone. OK, enough of my inner ramblings, this leads me to “Little Mosque on the Prairie” on CBC. I really enjoyed the show because it is funny and I seem to understand the Muslim culture in some form. I did take the intro to Religion class several years ago and went to a Mosque for the fieldwork assignment. I just wish I can joke to fans of “24” by mistakenly call Morris, Yasir because the actor (Carlo Rota) is on both shows and I prefer him in comedy over the suspenseful action. The weather, oh gosh, I barely survived having to go out in the frigid cold. -40 degrees is amazingly brutal. The worse thing for me was taking the express bus (and no! I am not going to tell you bus number because it’s self-explanatory :P) to get to Carleton. What I didn’t know was that the O-Train was not running. I took a long bus ride from west to east. Not very pleasant as well, but at least I didn’t arrive late to Carleton. Another bad thing was my scarf gave the smell of Vanilla Breeze from the Glade air freshener. Not pleasant when I was covering my face from the winds. I haven’t used my “trusty” scarf for a year. I am happy that I haven’t got sick and I broke free of the Chinese New Year curse. I had been cursed for 2 years when I got sick during or prior to Chinese New Year. I felt safer this year! A cheapless plug to put “Peter Hodgins” again on my blog entry and then searched on Google. I enjoy the Globally Wired Canada: Cultural Issues class and I really enjoy the people in the class. No matter how Facebook is mentioned and being “haunted” by political philosophers like Hobbes, Aristotle, and etc. I’d go bonkers having to hear those things.